When I had the opportunity to work with Nellie's Eggs and Cabot Cheeses, I knew exactly what recipe I wanted to share with you all! 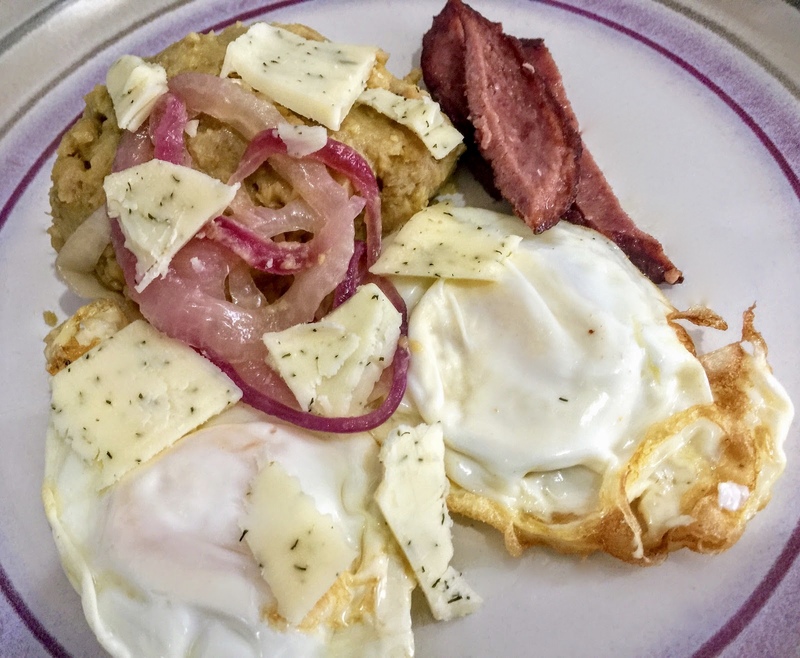 It had to be our old favorite go-to mashed plantains, fried eggs, and a salami or sausage on the side topped with cheese. It's one of the best brunch meals to keep you full for a long time. Nellie's Free Range Eggs paired with Cabot Creamery Co-operative Cheeses make a delicious combination. I also learned both are B Corporations which means they meet the highest standards of verified social and environmental performance. It happens to be the best brunch on lazy weekends, and especially when you want something that will hold you up well into dinner time. The recipe is one I adapted from my husband when he first bought me something similar from a Dominican restaurant. I don't know exactly how they made it but I have been happily making and enjoying it for a very long time in my own way. 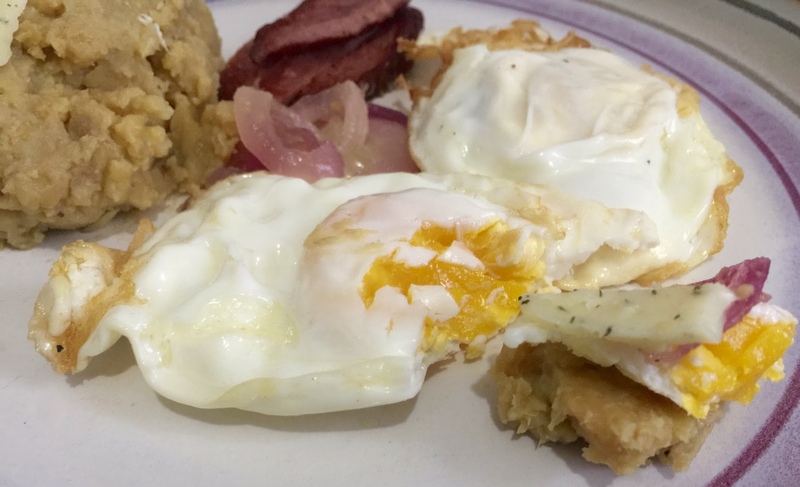 The eggs can be enjoyed in any way you like, you can even mix it in with the plantains and cheese. They are oh so good! Crumble, shred, break off..there is no wrong way! This is the Garlic and Herb Cheddar Cheese that I loved on top of the plantains and eggs. You can mix it all together as you eat, it is something you have to try and experience. It is so fulfilling, and so simple to prepare! Nellie's Free Range Eggs provide families with Certified Humane, wholesome, free range eggs at a reasonable price. All their hens are raised on small, family-owned free-range farms. You can check out more including when and where you can experience farm tours, where to buy and more on their website here. The delicious cheese can be served on the side, but I like to have mine all over the plate so I can get a piece in every bite. Lucky for me living in New York City there are so many stores to find goodies like an abundant amount of plantains in supermarkets. Put in a few cut up pieces of yellow onions. Pour water covering the plantains halfway. Once cooked, mash and add in butter, milk/cream. Red onions are cut thin, lightly sauteed and soaked in vinegar before being served. I put the plantains in my pressure cooker for 10 minutes. Mash with a potato masher, it can be enjoyed as is without any additives but best enjoyed right away if you plan to add no milk/cream, butter or olive oil. Serve plantains, eggs, cheese and red onions right away. For the perfect bite get a little bit of everything in and enjoy a hearty meal that will keep you happy, and full for a long time. I know I've never tried anything like this before I was introduced to it many years ago, but have become a huge fan of it. The plantains provide more nutrients than most bread, and if you keep the additives like the oil for frying your eggs to a minimum, it can also be considered a hearty and healthy meal. 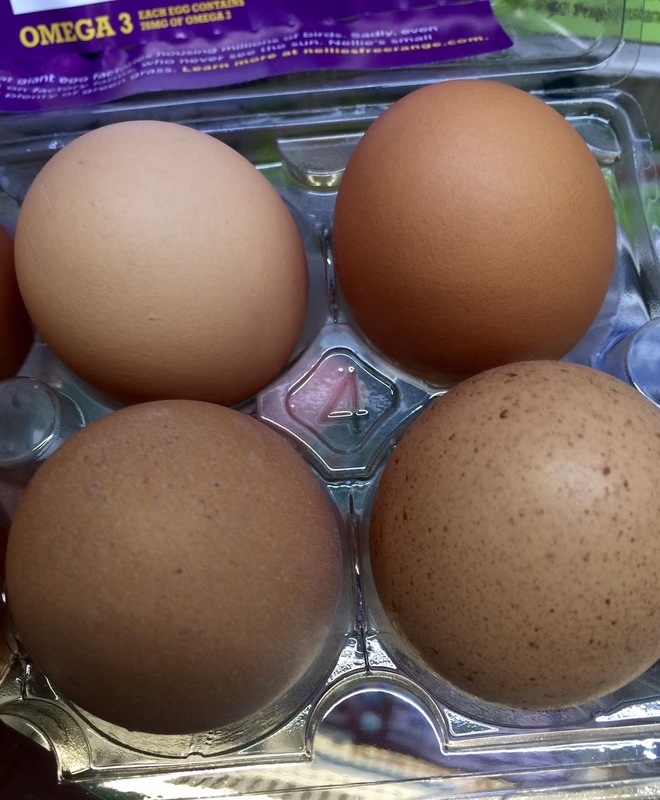 The Nellie's Free-Range Eggs and Cabot Cheeses are good in just about every meal, even on their own, and great for omelets. For the mashed plantains, eggs and cheese are what makes the meal into a perfect brunch. *This post has been brought you in partnership with Nellie's Free-Range Eggs & Cabot Cheeses. All opinions are a 100% my own.